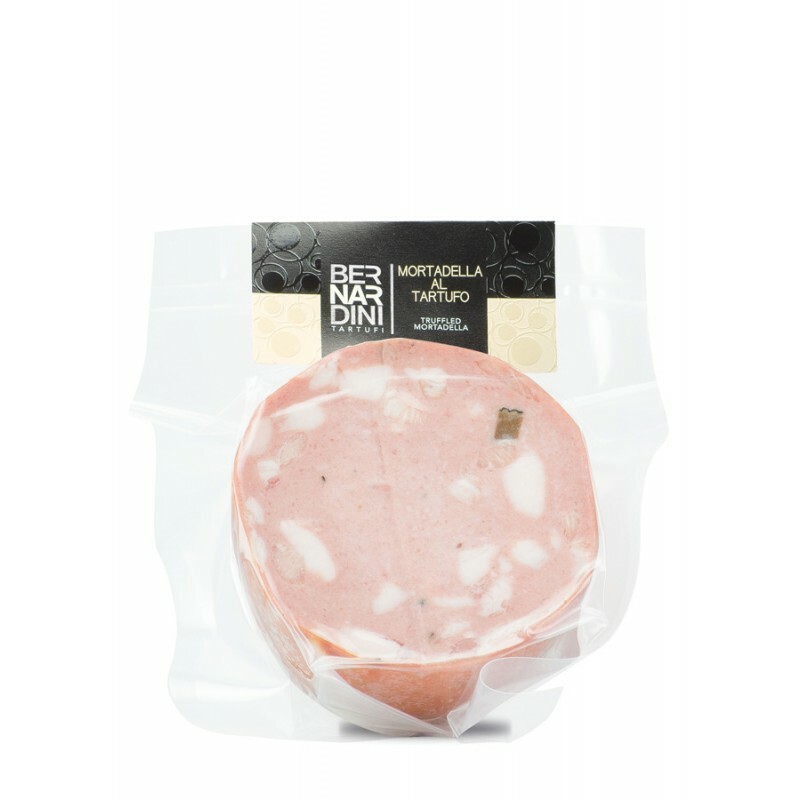 INGREDIENTS: Pork meat, pork tripe, salt, dextrose, summer truffle ( Tuber aestivum Vitt. ) 2%, flavorings, spices. Acidity regulator: E325. Antioxidant: E301. Preservative: E250. May contain traces of nuts. GLUTEN FREE. USEFULL INFORMATIONS: Ready to use, cut into slices or cube by its own or for the preparation of sandwiches, pan brioches and savory buns to serve as a snack or appetizer. TASTE: Deticate taste enriched by the flavor of summer truffle.